The polar ice caps have melted, flooding the continents and creating a giant ocean. People are few and far between, living as sailors or on rickety atolls made from scrap metal; in this time, dry land is considered a myth and dirt and water have become the most valuable currency. 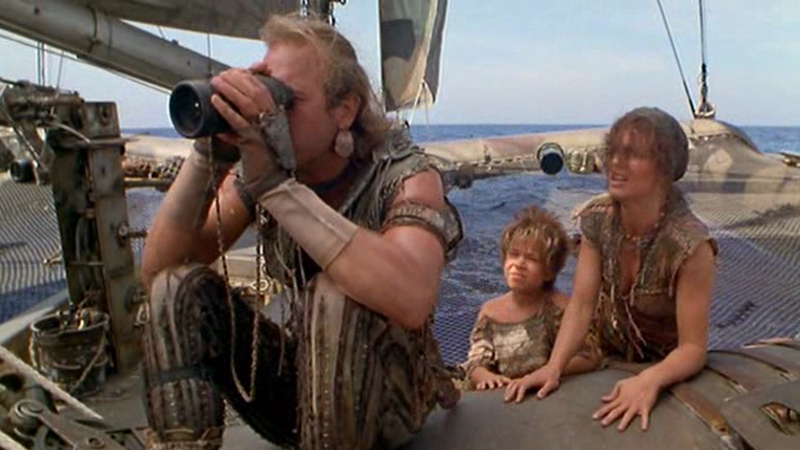 Widely considered to be an expensive failure, Waterworld was an epic vehicle for Kevin Costner, who starred in and co-produced the film, with his friend Kevin Reynolds as director. It was based on a 1986 screenplay by Peter Rader and cost an estimated $235 million, more than any film in history up to that time. 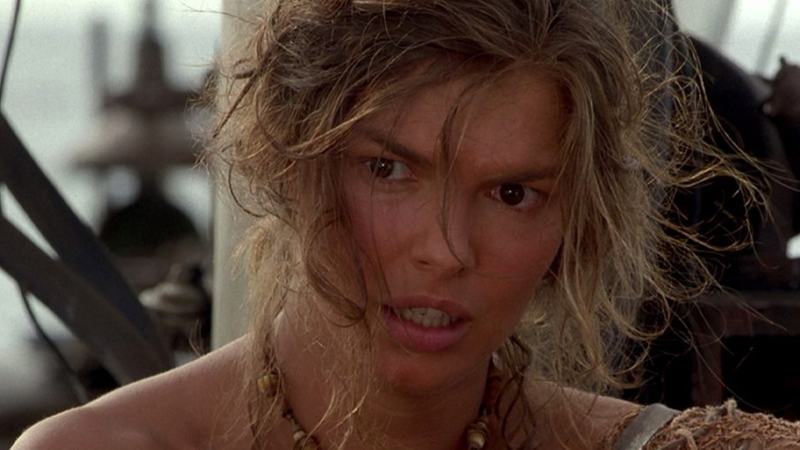 Costner eventually fired Reynolds and directed the last few scenes himself. The story was filmed in Hawaii, using several artificial islands, and is set in an apocalyptic future, after global warming has melted the polar ice caps and flooded civilization.